The most brilliant propagandist technique will yield no success unless one fundamental principle is borne in mind constantly and with unflagging attention. It must confine itself to a few points and repeat them over and over. Here, as so often in this world, persistence is the first and most important requirement for success. The media is mightier than the sword in shaping consciousness via propaganda Felicien, Schiavoni, and Romero (FSR) posit in MONTHLY REVIEW June 2018 that the image promoted by the international press has been one of “the people” rising in response to a “humanitarian crisis” wrought by an “authoritarian regime.” In reality, however, the combination of peaceful resistance and blatant acts of guarimba violence has only served to further isolate the popular sectors from the opposition. A look behind the headlines and images shows some glaring contradictions, particularly in the description of guarimbas as “food riots,” given the class and racial composition of the protesters crying hambre (hunger). Furthermore, a quick glance at social media, such as posts by Freddy Guevara and others, dispel any illusion that the protests arose spontaneously. Finally, both the targets and tactics of the guarimbas—including burning food instead of redistributing it (indeed, food designated for the poor), along with violent assaults on the poor and dark-skinned—put the lie to any narrative of the guarimbas as “food riots” of the hungry. An event far more aptly described as “food riot” or “food rebellion” was the Caracazo of 1989. At the time, reports in the New York Times and other outlets made few criticism of the government of President Andres Perez, but did include graphic accounts of mass graves, people lined up at morgues in search of loved ones, imposition of curfews, curtailing of civil liberties and press freedom, and death estimates upward of 600 people, with one doctor quoted as saying “no country is prepared for what we have confronted” [so far]. While any government-sanctioned violence merits concern, attention, and investigation, it nevertheless bears asking why the international outcry has been so much greater than during the Caracazo, and, why, as one media watchdog group has noted, “the imperfect state of democracy in Venezuela” attracts singular attention [in the United States from Trump], when as many atrocities in the world today go under-reported. The BBC Persian TV channel has at last acknowledged the role of the BBC Persian radio in the toppling of the democratically elected government of Iran in the 1953 coup. 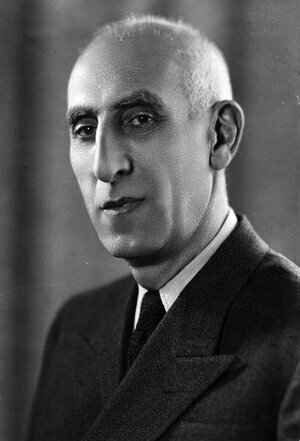 The coup overthrew the government of the then Iranian Prime Minister Mohammad Mosaddegh leading to the restoration of absolute monarchy under dictator Mohammad-Reza Pahlavi who was later toppled in the Islamic Revolution in 1979. In a documentary aired on August 18 on the anniversary of the coup, BBC Persian channel admitted for the first time to the role of the BBC Persian radio as the propaganda arm of the British government in Iran. After repeated denials of the BBC Persian radio’s role in helping London oust Mosaddegh, the program entitled Cinematograph detailed how the radio network broadcast anti- Mosaddegh programs to undermine his government. “The British government used the BBC Persian radio for advancing its propaganda against Mosaddegh and anti-Mosaddegh material were repeatedly aired on the radio channel to the extent that Iranian staff at the BBC Persian radio went on strike to protest the move,” the Cinematograph narrator said. Britain had lost its power as a world empire after the World War II and Mosaddegh’s efforts to nationalize Iran’s oil industry, which bear fruit on March 19, 1951, meant Britain lost one of the most important resources it formerly fully controlled under the guise of the British-owned Anglo-Iranian Oil Company due to subservience of the Pahlavi regime. This comes as on the anniversary of the nationalization of Iran’s oil industry on March 19, 2010, the BBC Persian channel aired another documentary that categorically dismissed the broadcaster’s Persian radio in the 1953 coup claiming the radio channel even went against the policies of the British government. The Cinematograph also quoted a classified document going back to July 21, 1951 in which a Foreign Office official thanked the British ambassador for his proposals that were followed to the word by the BBC Persian radio to strengthen its propaganda against Mosaddegh. “The BBC had already made most of the points which you listed, but they were very glad to have an indication from you of what was likely to be most effective and will arrange their programme accordingly,” the document shown in part on the program read. “We should also avoid direct attacks on the ’ruling classes’ since it seems probable that we may want to deal with a government drawn from those classes should Mosaddegh fall,” it added. On Aug. 19, 2013, the CIA publicly admitted for the first time its involvement in the 1953 coup against Iran's elected Prime Minister Mohammad Mossadegh. 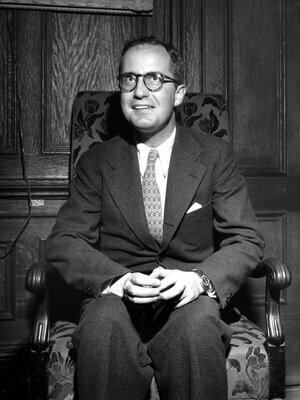 The documents provided details of the CIA's plan at the time, which was led by senior officer Kermit Roosevelt Jr., the grandson of U.S. President Theodore Roosevelt. Over the course of four days in August 1953, Roosevelt would orchestrate not one, but two attempts to destabilize the government of Iran, forever changing the relationship between the country and the U.S. In this episode, we go back to retrace what happened in the inaugural episode of NPR's new history podcast, Throughline. Mohammad Mossadegh was a beloved figure in Iran. During his tenure, he introduced a range of social and economic policies, the most significant being the nationalization of the Iranian oil industry. Great Britain had controlled Iran's oil for decades through the Anglo-Iranian Oil Co. After months of talks the prime minister broke off negotiations and denied the British any further involvement in Iran's oil industry. Britain then appealed to the United States for help, which eventually led the CIA to orchestrate the overthrow of Mossadegh and restore power to Mohammad Reza Pahlavi, the last Shah of Iran. According to Stephen Kinzer, author of the book All the Shah's Men, Roosevelt quickly seized control of the Iranian press by buying them off with bribes and circulating anti-Mossadegh propaganda. He recruited allies among the Islamic clergy, and he convinced the shah that Mossadegh was a threat. The last step entailed a dramatic attempt to apprehend Mossadegh at his house in the middle of the night. But the coup failed. Mossadegh learned of it and fought back. The next morning, he announced victory over the radio. Mossadegh thought he was in the clear, but Roosevelt hadn't given up. He orchestrated a second coup, which succeeded. Mossadegh was placed on trial and spent his life under house arrest. 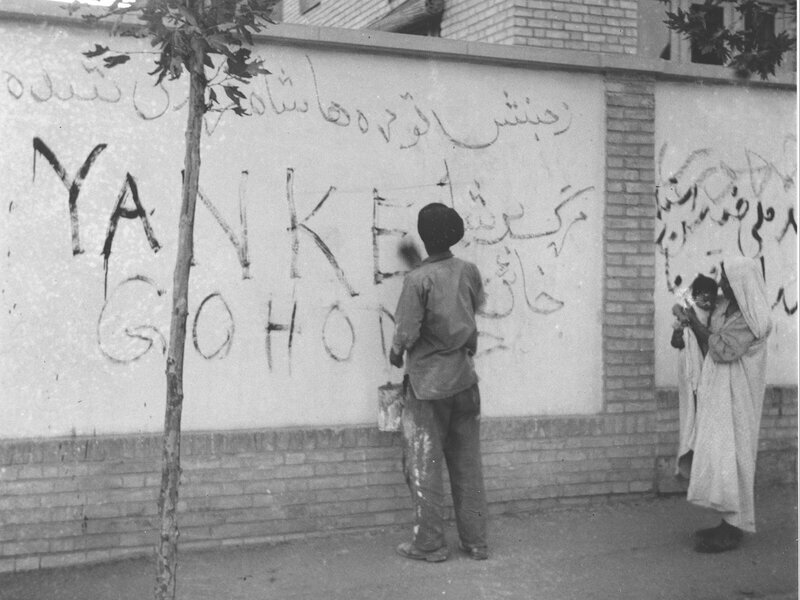 The shah returned to power and ruled for another 25 years until the 1979 Iranian Revolution. 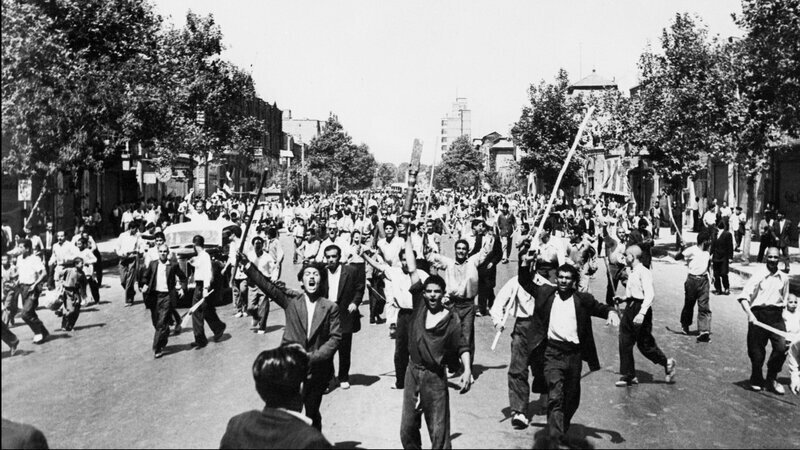 The 1953 coup was later invoked by students and the political class in Iran as a justification for overthrowing the shah. Countercoup: The Struggle for the Control of Iran by Kermit Roosevelt Jr.
FSR state that Petroleum is central to the dominant [propagandist] narrative, which claims that the Chavez government won its popularity on the strength of high oil prices and personal charisma, while Maduro's relative unpopularity is attributable to the plunge in prices and political ineptitude. Once again this familiar story distorts the facts in key ways. Second, the shortages that have attracted such interest are in fact part of a broader trend seen over the course of the Bolivarian Revolution, through both periods of high and low oil prices, and particularly at politically heightened moments such as the lead-up to elections. Furthermore, the most recent shortages did not begin in 2014, when oil prices dropped, but before, in 2013, while prices were still high. All this complicates simplistic narratives around present conditions and events in Venezuela. But perhaps the most significant gap in such analyses, which tend to center on the government and state, is the key role of capital and its relations with the state. Bearing in mind the revolution-counterrevolution dialectic, it is imperative to look at the role of the elite, whose power extends throughout much of the agrifood system, and who have exploited the current “crisis” to further consolidate their power while simultaneously seeking to dismantle re-distributive agrifood policies. The Trump administration's sanctions against Venezuela prevent gasoline refiner Citgo from sending payments back to its parent company. Here & Now's Peter O'Dowd talks with Steven Mufson (@StevenMufson), reporter for The Washington Post. These forces have launched a material assault on much of the population, disproportionately impacting the poor and working class while further provoking an already frustrated middle class. They are also attacking the legitimacy of the government, both internally and externally, particularly by discrediting Venezuela's reputation for exemplary achievements in the fight against hunger and toward food sovereignty. These included a reclaiming of traditional food preparation techniques—by necessity, as the foods missing from supermarket shelves were substituted with foods that remained locally available, thanks to prior public efforts toward food sovereignty: plantains, cassava, and sweet potatoes for processed starches, fresh sugarcane for refined sugar, and so on. Simultaneously, unprecedented numbers of urban dwellers began growing what they could on windowsills, patios, and in community spaces, enlivening a nascent urban agriculture movement. Rural people who had not been directly engaged in agriculture have been returning to food production, and are increasingly joined by their urban counterparts. The surge in interest in alternatives to industrially produced foods and the revaluing of the countryside have provided opening for social movements already working toward such transformations, help forge connections between emerging grassroots responses prior efforts toward food sovereignty under the Bolivarian revolution. The rural comuna in the state of El Maizal in Lara (established in 2009) was able to help meet the food needs for up to 15,000 families in surrounding communities. Plan Pueblo a Pueblo (People to People Plan) formed in 2015 reached over 60,000 urban working class families with regular distributions of affordable fresh food. Feria Conuquera (Conuco Fair), a large monthly alternative market in Caracas featuring agroeconlogically produced fresh foods and artisanal versions of many of the products missing from supermarket shelves, the Mano a Mano Intercambio agroecologicco (Hand to Hand Agroecological Exchange) bring the urban-rural divide in the Andes, and the Plan Popular de Simillas (People's Seed Plan), an offshoot of the new national Seed Law passed through a bottom-up policy-making process in 2015. There was also a host of government responses to the shortages. Among the government responses to the shortages, those most intimately linked with popular organizing are the Comites Locales de abasteciniento y Produccion (Local Provisioning and Production Committees), known as CLAPs. CLAPs were rapidly rolled out in 2016, initially targeting the poorest fifth of the population, and now reach well over half. Through the CLAPs, the government purchases food directly from suppliers, both private and public, and coordinates with community organizations to distribute mixed food packages to individual household. Through a massive coordinated push from both above and below, CLAPs reached an estimate two million families in their first year, and today there are more than thirty thousand CLAPs throughout the country, with the aim of reaching six million families—nearly three-quarters of the population—with regular distributions by the end of 2018. The dominant narrative tends to obscure not only the main drivers of the current crisis, but also the many responses coming from the grassroots. This phenomenon is linked to the common portrayal of the Venezuelan working class as passive victims rather than active agents. The same stereotypes and “othering” that led to the common perception that most Venezuelans were blindly following Chavez, with his petrodollars and charisma, are today leading international media to ignore, among other things, the unprecedented popular advances toward food sovereignty manifesting at present. While such Western mainstream narratives might be painfully, even laughably apparent to the average Venezuelan, such stories serve as powerful mechanisms reinforcing the dominant narrative on Venezuela and shaping international opinion. While we might expect as much from the Western mainstream media, it bears asking why the same narrative is reproduced so seemingly uncritically in intellectual and academic circles, including those of the left. Could it be that we do not always leave our own biases at the door, either? This is where the importance of reflexivity comes in, as well as that of praxis-based partnerships among scholars and grassroots moments, to ensure that events and experiences we might not directly encounter ourselves, from our own places of power and privilege, do not become invisible, and that we question narratives that too comfortably fit our own realities. As scholars and activists, we are faced with a choice, as each day brings new forms of aggression against the government, people, and process in Venezuela by the United States and its [right-wing] allies. We can wait and offer postmortem analyses of what could have been, or we can join now with Venezuelan grassroots movements—not uncritically, as constructive critique is needed more now than ever, but unequivocal in our solidarity with their struggles. We can make pronouncements about the “end of the cycle” of the rising left in Latin America, or we can stand with those who see no place for themselves at “the end of the cycle”: those for whom—and by whom—history is still being written, and for whom giving up is not an option. While the president has called on Congress to pass laws that would re-impose some sanctions if Iran takes certain steps, he has kept the U.S. in the nuclear deal despite chances to pull out. And Congress hasn't acted. That deal was between Iran and six world powers (including the U.S.) and put limits on Iran's nuclear program in exchange for relief from some economic sanctions. The administration acknowledges Iran is complying. Trump says the deal should be tougher and doesn't deal with Iran's missile program or support for militant groups. If the U.S. re-imposed nuclear sanctions, it would be breaking the deal. That could prompt Iran to accelerate its nuclear program again. Or, the other countries could keep doing business with Iran anyway. The Media has always been mightier than the sward. This is why its propaganda is so potent. And this what the Founders understood when allowing the First Amendment in the Bill of Rights. The press protects and damns at the same time. We must understand America's 20th century history in order for the media not to be taken for FAKE NEWS that Trump publishes on twitter as the real deal.